Module 1: Managing computers and mobile devices in the enterpriseThis module describes the features of Configuration Manager that you can use to perform complex management tasks, including the following tasks: • Hardware and software inventory. • Application management. • Operating system deployment. • Settings management. • Software update management. • Remote client troubleshooting. • Protection from malware. Module 2: Analyzing data using queries and reportsThe Microsoft System Center Configuration Manager database stores a large amount of data about the resources in your environment. You might not always want to perform all management tasks on all resources simultaneously. Therefore, to help you locate devices or user objects in your environment that meet specific criteria, you can create queries. You then can use these queries to create collections or to find additional information about specific resources. This module describes queries and methods of creating and running them. In addition to queries, you can run reports to view various types of information related to your Configuration Manager environment. To run Configuration Manager reports, you must install and configure a reporting services point, which this module details. Module 3: Preparing the management infrastructure to support PCs and mobile devicesThis module explains how to prepare the management infrastructure, including configuring boundaries, boundary groups, and resource discovery. Additionally, it describes how Configuration Manager interacts with the Microsoft Exchange Server environment to discover and manage mobile devices. Module 4: Deploying and managing clientsThis module explains the supported operating systems and devices, the software requirements, and the different methods for installing the Configuration Manager client. This module also describes some of the default and custom client settings that you can configure. After installing the client software, you can configure the client settings to perform routine management tasks. Module 5: Managing inventory for PCs and applicationsThis module provides an overview of inventory collection, and explains how you can manage the information collected. You also will learn about the process of collecting hardware and software inventory, initiating inventory cycles, and initiating and securing inventory collection. This module also covers the use of software metering to monitor program usage, and the configuration and management of Asset Intelligence. Module 6: Distributing and managing content used for deploymentsConfiguration Manager clients obtain content, such as packages, applications, software updates, and even operating system images, from distribution points. Configuration Manager relies on the distribution point infrastructure to provide content management functionality. In this module, you will review the content management features, configure distribution points, and learn how to distribute and monitor content. You also will perform content validation and content prestaging. Module 7: Deploying and managing applicationsIn this module, you will learn about the methods for creating, deploying, and managing applications with Configuration Manager. You also will learn to use the Software Center and the Application Catalog to install available applications. You will learn about managing deployments on unconventional applications. In addition, you will learn to install Windows 10 apps and virtualized applications. Module 8: Maintaining software updates for managed PCsThis module explains how to use the software updates feature in Configuration Manager to implement an end-to-end management process for the complex task of identifying, deploying, and monitoring software updates to your Configuration Manager clients. Module 9: Implementing Endpoint Protection for managed PCsConfiguration Manager provides a number of security-related features that you can use to help protect client computers from malware threats, and to configure specific Windows Firewall settings for clients. Based on System Center Endpoint Protection (Endpoint Protection) functionality, Endpoint Protection in Configuration Manager supports the deployment, management, and monitoring of antimalware policies and Windows Firewall settings on client computers. This module explains how to use configure Endpoint Protection Configuration Manager to implement Endpoint Protectionand deploy and monitor Endpoint Protection policies. Module 10: Managing compliance and secure data accessMany enterprise organizations require systems, such as servers, laptops, desktop computers, and mobile devices, to meet specific configuration and compliance requirements. Compliance settings in Configuration Manager can play a key role in identifying existing configurations, discovering systems that have adverse configuration changes, and remediating these settings automatically when necessary. Compliance settings also can help control how users manage and access data in the enterprise network environment. For computers that run Windows 8 and newer operating systems, you can manage data using folder redirection, offline files, and roaming profiles. You also can control access to data using remote connection profiles, virtual private network (VPN) profiles, Wi-Fi profiles, and certificate profiles. This module describes the compliance settings that you can manage using Configuration Manager. You will learn to use these settings to maintain configuration requirements and to provide secure data access to enterprise resources. Module 11: Managing operating system deploymentYou can use the operating system deployment feature in Configuration Manager to create operating system images that you can deploy to unmanaged computers and those managed by Configuration Manager. There are several scenarios in which you can deploy operating systems by using Configuration Manager, including when you are working with new systems or when you are upgrading existing ones. Operating system deployment uses both Configuration Manager and Windows components to manage and deliver operating system images. You can configure settings on a reference computer prior to capturing an image of its operating system or by using task sequences that Configuration Manager creates after you deploy the image to a target system. This module explains how to use Configuration Manager to create a strategy for operating-system deployments. And also, it explains how to manage Windows as a service. Module 12: Managing and maintaining a Configuration Manager siteThis module explains how to use manage and maintain a Configuration Manager site. It describes role-based administration, Remote Tools, and the site maintenance tasks that you can manage by using Configuration Manager. Additionally, it explains how to back up and recover a Configuration Manager site system. 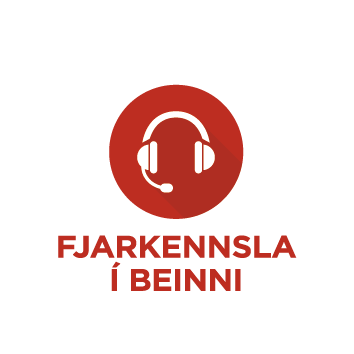 Þetta námskeið er góður undirbúningur fyrir prófið 70-703: Administering System Center Configuration Manager and Cloud Services Integration.. Ath að ekki eru lögð fyrir formleg próf í sjálfu námskeiðinu en mikil áhersla er lögð á að leiðbeinandi og þátttakendur fari sem oftast yfir það sem hefur áunnist til að ýta undir stöðugar framfarir. ►Greiðslur: Hægt er að greiða fyrir námskeiðið með Microsoft Training Voucherum. Einnig er hægt að dreifa greiðslum með Netgíró og VISA/MasterCard staðgreiðsluláni til allt að 36 mánaða.